Scientists think that it's possible that there's a ninth planet deep in the outer reaches of our solar system that could explain some things. An incredible new statement from NASA indicates that scientists think it’s possible there’s another planet far, far out in our solar system that could explain some gravitational anomalies. Pluto was removed from the list of planets after scientists considered it too small to be one, but it could be replaced by one that is much larger and much farther from the sun. The planet would be the best explanation for some strange things in our solar system, like the weird behavior of objects deep in the solar system and the altered orbits of some planets, which would seem to indicate a huge object that is orbiting the sun at 20 times the distance of Neptune and 10 times the mass of Earth. It would be an incredible discovery for astronomers that could totally alter our understanding of the solar system. 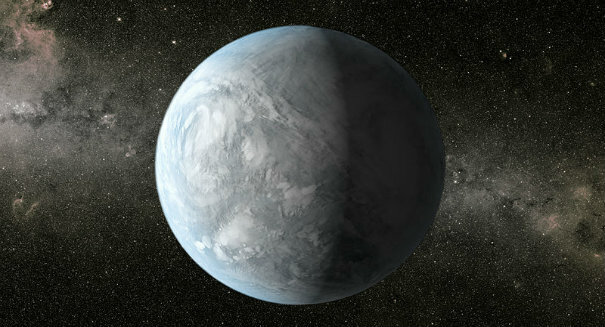 But it will certainly be tough for scientists to find a planet that far out.